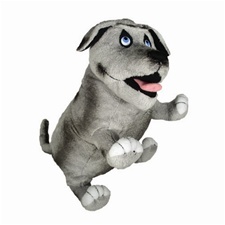 Order dog breed plush stuffed animal toys online in a variety of styles and sizes. Hi, my name is Patches! I am super soft and loved to be held. I am the "World's Softest" dog! Just wait 'til you get your hands on me. 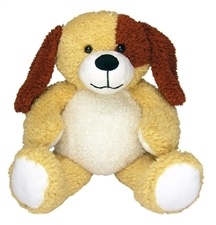 My fur is super soft to the touch and my floppy body design is perfect for sharing hugs. For ages 3 years and up. 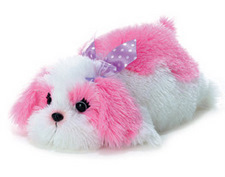 Daisy Dog stuffed animal is abloom with brightly colored flowers! 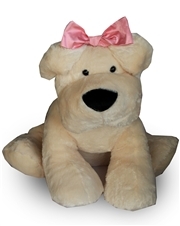 Her soft, fuzzy face and sweet smile win loyal friends everywhere. 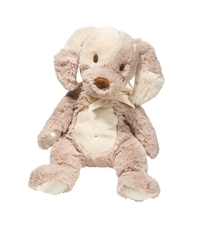 With ultra-soft fleece fabric and soft fill, Daisy is irresistibly huggable. 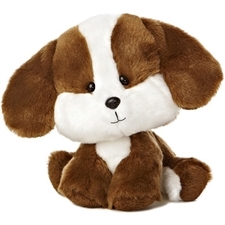 And like all Melissa & Doug Beeposh toys, this puppy has style galore. 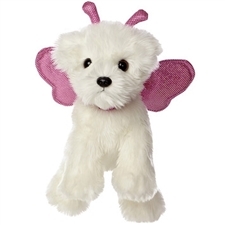 About Beeposh stuffed animals: They've got style, they've got pizzazz, they've got snuggles to spare--they're Beeposh stuffed animals! Color-blast fabrics are exciting for the eyes and soothing to the touch, and each cuddly creature in the family is stuffed with personality. Many also coordinate with Beeposh style essentials, the cool, comfy and collectible clothing and gear. With a wide range of whimsical critters, pillows, bags and more, there's no limit to how cozy and colorful your world can Bee! 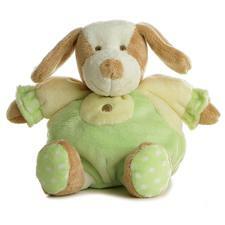 With a gentle belly squeeze, this pup will be happy to demonstrate its affection with a playful, "Woof, woof, woof!" 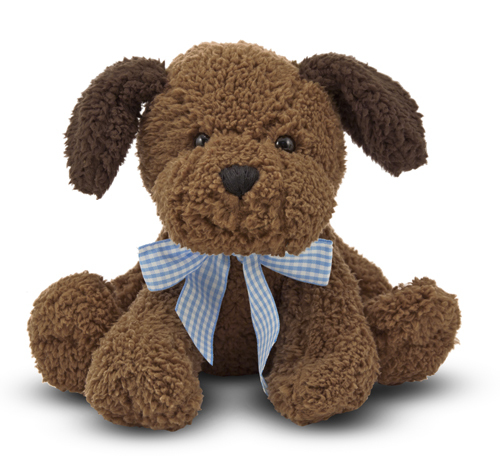 A charming blue gingham bow and two shades of super fuzzy fur make this eight inch pup the pick of the litter! 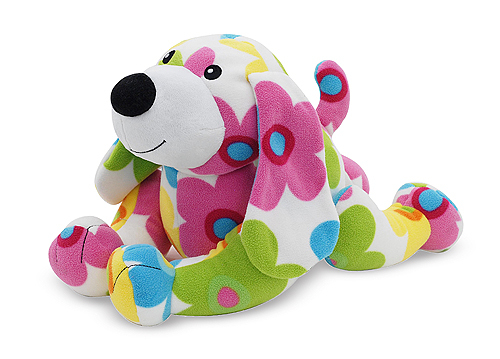 A colorful daisy print pops against the black background of Bloomer Dog's super-soft coat. 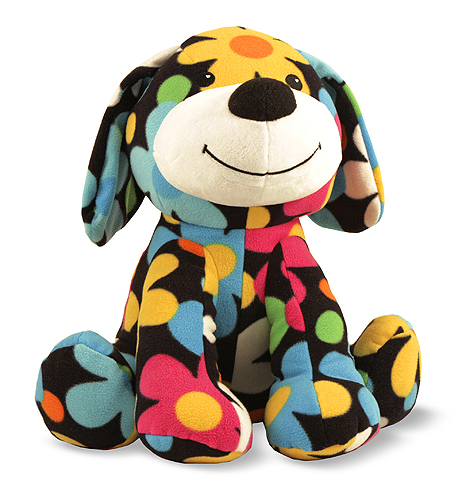 Floppy ears and color-pop print make him top dog in the cuteness department, but it's his squishy, extra-huggable fill that make this pup a kid's best friend. And like all Melissa & Doug Beeposh toys, Bloomer is machine washable. 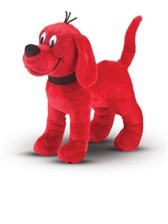 Your girl will be so Lucky once she meets this 3ft adorable dog. Lucky is ready to come to your home! She is so lovable and ready to give you kisses! 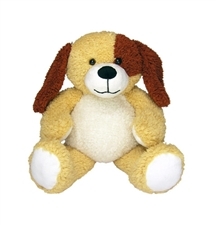 Select from site menu at top right for more stuffed animals featuring specific dog breed designs.